Claudia Gray’s new sci-fi series has captured the imagination of many readers. This is a book I definitely judged by the cover (guilty!) and like a lot of people, I think it is undeniably gorgeous. I like that it hinted at the protagonist’s talent as well as the dimension-travelling theme of the book rather than just a generic pretty cover which can be common these days. The story was set up using flashbacks showing how the Firebird came about and the dynamics between the characters. Marguerite has grown up having her parent’s assistants around and often living with them in the family home. Paul and Theo have been around longer than usual and have become fixtures in the Caine home and so Paul’s betrayal stings Marguerite badly. It was inspiring to see her fight through her raw grief for her father and pursue Paul despite the dangers. I loved the intricacy of the world building which is crucial to any fantasy or sci-fi book and Claudia Gray has done a fabulous job. Each dimension that Marguerite travelled to was really creative in its inception and (sometimes radically) different so it kept me on my toes trying to anticipate how similar or different each new dimension would be. I particularly enjoyed reading the science behind the Firebird (I know!) and it made the whole premise more believable. To finish, one of my absolute favourite bits was the Russian dimension (not a spoiler I hasten to add! 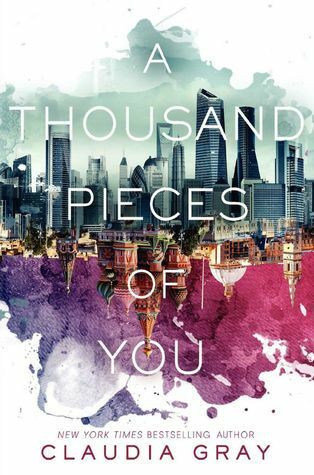 Get a closer look at that gorgeous cover because it’s on there clear as day). Yes, it was a little clichéd and there were some plot holes that went against the laws of dimension travel that Gray had outlined BUT I’m a huge historical fiction fan so I fell totally in love with this world. Gray’s description was lovely and vivid. Also, the question of fate and whether love can transcend time and place was something I enjoyed and I’m looking forward to seeing it explored in the next books. The next book is due out in November later this year and I’m already salivating after the sure-to-be beautiful cover! There will be three books in total in the Firebird series. I would definitely recommend this book to anyone interested in sci-fi especially for fans of David Levithan’s Every Day and David Mitchell’s Cloud Atlas.